How Important is Biobanking Today? Once stocked with samples, biobanks can be used to review patient profiles or to cull samples that meet certain research requirements. The bottom line? Without high-quality samples, research is futile. Samples matter – from storage to sample culling to chain of custody and data management. Using the right biobank is critical to the success of hospitals, biopharmaceutical companies and a wide diversity of researchers. 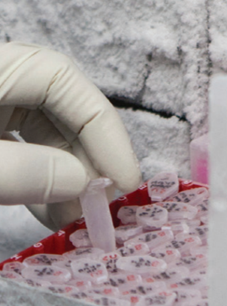 Here are some things to consider when evaluating your biobank sample management. It’s important to keep in mind that just because we’ve always done something a certain way, it might not be best practice today. It’s a good idea to periodically evaluate your SOPs and work processes. As your company expands and its technology changes, certain built-in checks might no longer be needed.It is because of these changes to technology, systems and workflow that homegrown, non-validated LIMS solutions can ultimately be problematic. If you’re a lab which has hired developers to create your own software, your lab is then obligated to support it, maintain it, upgrade and add features to it—all of which is time in which you are not focused on your key objective – scientific research. Another common challenge is outgrowing your existing LIMS. Laboratories – as they grow their volumes and change or evolve practices – often find that a commercial solution purchased years earlier worked well for a while, but they have since outgrown it or have identified capabilities they need but don’t have.That is why it’s essential to evaluate your current solution from time to time to ensure it still meets your needs. If you find that your company has evolved to the point where your solution no longer fits – it’s time to replace it with one that does. The decision between having a manual or an automated system hinges on several factors. While manual systems are much more affordable, often samples must be brought into room temperature to allow researchers to select the sample they seek—a labor-intensive task that puts the sample integrity at risk. Automated sample recovery minimizes this by shortening the time the sample is exposed to higher temperatures during withdrawal.And in the case of larger freezer unit facilities, automated systems can effectively manage a vast number of samples, especially in the case of active storage, where samples are frequently pulled in and out. But because the cost of automated systems can be prohibitive, manual storage is ultimately a more cost-effective choice for long-term, passive sample storage.In addition to freezer size and the use of active storage versus passive, another aspect to consider is temperature. Walk-in freezers can be kept at -20 Celsius (minus 20 Celsius), or all the way down to -80 Celsius (minus 80 Celsius).In a space where freezers are kept at -80 Celsius, with hallways at -20 Celsius, anyone seeking samples must suit up before entering, and can only stay inside a maximum of 15 minutes at a time. The extreme temperature makes it physically impossible for anyone to remain longer and can be a fairly large constraint on human sample retrieval, making automated sample retrieval more practical in this case. A primary task of the LIMS system is to control samples, maintaining an appropriate chain of custody and logging everything related to each sample. Sample chain of custody is necessary for good clinical laboratory and good tissue practices; certain regulations require an electronic signature along with an audit and a detailed log of each sample’s history. If a company doesn’t know with absolute certainty which sample is in which position, staying in compliance with these regulations can be a struggle.Regardless of whether an automated or manual store is best for your particular needs, a strong inventory management system is key. In our experience, while they can pinpoint the shelf where a box is stored, few companies actually know where the sample is inside the box. (LabVantage 8.3’s sample management capabilities help biobanks locate samples down to specific locations within a box, speeding up workflow and simplifying storage & retrieval. Leverage a single, synchronized, centralized system which stores annotated specimen data across multiple banks. Be able to distribute biospecimens to both internal and external researchers. Replace any paper and Excel tracking systems. Have an always updated and current sample inventory location. Quickly locate sample inventory, as well as the tools and kits used to collect them. Segment samples being stored by sample type, by client, or by storage conditions, such as -80 Celsius versus -20 Celsius. Annotate specimens with clinical and quality information. Restrict unauthorized access to patient data, in compliance with regulatory requirements. Newer capabilities in the latest class of LIMS reflect the latest regulatory guidance and offer increased flexibility, advanced capabilities, better tool integration, and more configuration power.